How To Delete/Cancel Your Paypal Account? 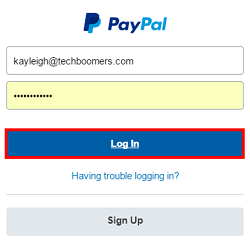 No one is saying you should close your PayPal account if you are not actively using it. But if you do decide to close it, keep in mind you won’t be able to make any purchases using PayPal or view your account history after your account is gone for good. Because scheduled or incomplete transactions are canceled after the account is closed, you should first withdraw any remaining balance to your bank account or credit card before proceeding with deletion. (withdrawals can take 3-5 business days to complete, depending on your banks procedures). Also, make sure that there are no pending transactions on your account when you close it and keep in mind that accounts which have limitations, unresolved issues or a balance cannot be closed until these issues are resolved. “If you have an email address on your account that you haven’t confirmed, remove it from your account before you close it,” advises PayPal. If all goes well and they lift the limit, you’ll be permitted to close or delete the paypal account (it takes about a week to process your documents and lift the limit). Crucially, closed PayPal accounts cannot be reopened. You can always open a new PayPal account, but it will have none of your previous transaction history. Go to www.paypal.com in your web browser and sign in to your account. Click the gear icon in the top-right corner to access your profile and settings. Under the “Account” category, click Close Your Account, under the “Account Options” heading. And now it’s done! If you want a little more information about the process, and maybe need some pictures to accompany the instructions, read below. We can explain each step in more detail for you. 1. Visit the PayPal website and sign into your account one last time. Open your web browser of choice, and visit www.paypal.com. Click Log In at the top-right, enter your email address and password, and click the blue Log In button. 2. 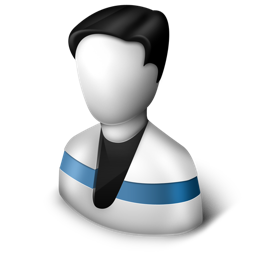 Access your personal PayPal profile and account settings. Click the gear icon in the top-right corner to access your PayPal settings menu. 3. Find the option to close your account. Click Account at the top of the menu bar, though by default, it will be selected already. Under the “Account Options” heading, click Close Your Account. 4. Confirm that you want to delete your account (and be sure, because you can’t go back from here). This is the final step! PayPal will give you one last chance to make sure you want to delete your account. If you’re sure, click the blue Close Account Button. Once you do this, your account is closed permanently, so make sure you are sure you want to if you click it.